If you are interested about history, here you have a few facts…. Do you know the origin of Athens name? It is called after Athena, the goddess of wisdom in Greek mythology, who became the patroness of the city after defeating Poseidon, the god of the sea. Athenians built the majestic Parthenon in the Acropolis in her honor. 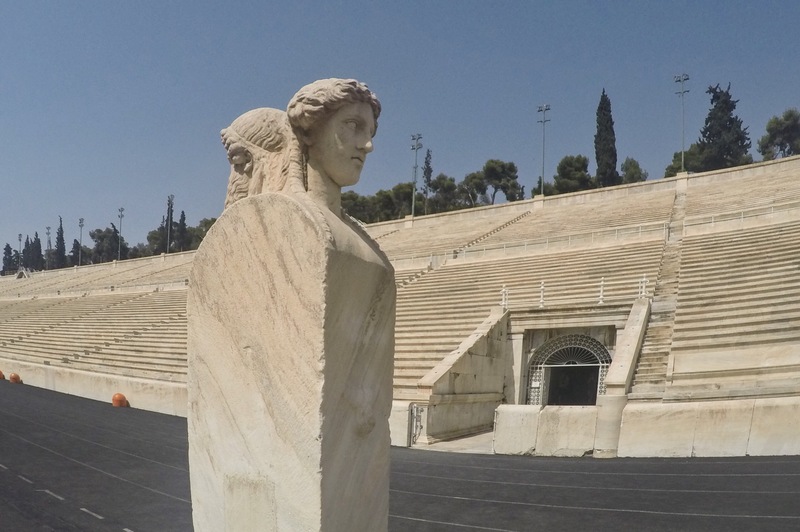 In order to celebrate her as their main goddess and protector, Athenians created the Panathenaic Games, which took place every four years beginning in 566 BC until the 3rd century. These games are not to be confused with the ancient Olympic Games, which were dedicated to Zeus long before. The Panathenaic Games consisted of days with religious, cultural and sport events, which finalized with a procession from the stadium towards the Acropolis. Today, about 2,500 years later, you can still visit both places, the Acropolis and the stadium. The origin of the stadium goes back to the games. After glorious times, it was abandoned for approximately 1,700 years. 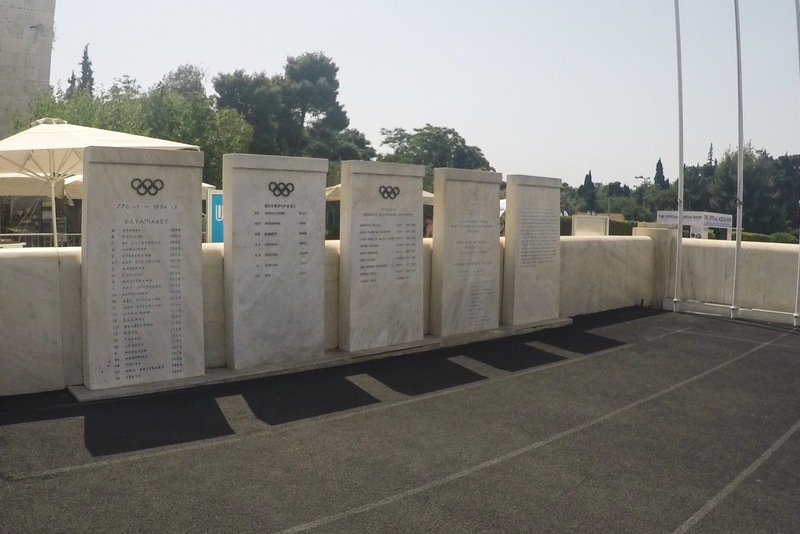 Evangelis Zappas, a Greek businessman, donated enough funds to excavate and prepare the old stadium to host the first revivals of the ancient Olympic games in 1870, to commemorate their Greek ancestors. A few years later, in 1896 the Stadium was the great scenario of the first Modern Olympic Games as we know them today. The first official marathon race was ran during these games! 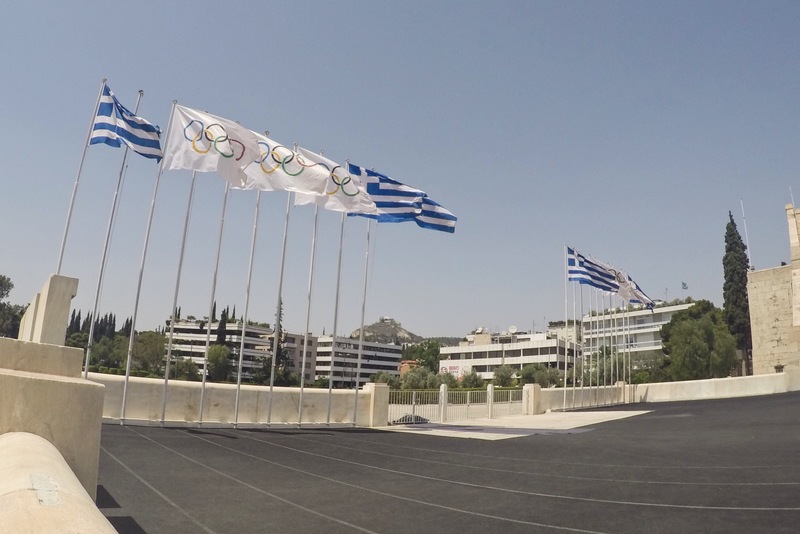 The stadium has been used ever since for important events, including the yearly Athens Marathon. This stadium is known to be the oldest stadium worldwide. Where does the Marathon Race com from? Long distances were never ran in any of the ancient sport events held for the Greek gods. In 490 BC there was a decisive battle in Greek history held between Athens and Persia, in the city of Marathon. Despite the fact that the Persians doubled in size the Athenians, the Athenians were victorious and saved their city from being attacked. A legend says that the messenger Phillipides ran 40 Km from Marathon to Athens with the news about the victory. After the announcement, he died out of exhaustion. The organizers of the first Modern Olympic Games in 1896 decided that a 40Km (25Mi) race between Marathon and the Panathenaic Stadium would be a good way to commemorate the glory of Greece. The distance was later changed to 42.2Km (26.2 Mi) in 1906 for the London Olympic Games upon Queen Alexandra’s request, and this distance became standardized on 1921. If you are ever around Athens and decide to stop by the stadium, remember it can get warm during the day. Bring your running clothes, a cap and running shoes since you are actually allowed to run there. I didn’t think about it, but that didn’t stop me from running a lap in the track. So I hope you found this as interesting as I did! Have a great week!